Lymphoma in dogs is cancer of the white blood cells. Hearing that your dog has this disease will leave you confused and worried about what you can do to help. If you have recently found yourself in that awful situation, here are the facts you need to know about lymphoma in dogs and how CBD may provide your dog with a better quality of life. Lymphoma is a type of cancer that originates in the lymphocytes, which are the white blood cells that fight infection in the body. Lymphoma can affect any organ in the body, but it is most commonly found in the spleen, the lymph nodes, and in bone marrow, because that is where the highest concentrations of lymphocytes are found. Dogs can be affected by more than 30 types of lymphomas. The symptoms, aggressiveness of the cancer, and the survival rates, vary with each of these different types. The most common types of canine lymphoma are called alimentary lymphoma, extranodal lymphoma, mediastinal lymphoma and multicentric lymphoma. Here’s a brief explanation of each of those types. Alimentary lymphoma is a form of lymphoma that attacks the intestines and is the second most common form of lymphoma in dogs. Most of the symptoms in a dog with alimentary lymphoma will be evident in problems with the intestines. Extranodal lymphoma is the term used to describe types of lymphoma that attacks specific organs in the body, such as the lungs, the kidneys and the skin. The most common type of extranodal lymphoma found in dogs is cutaneous lymphoma, which affects the skin. Mediastinal lymphoma will attack the mediastinal and thymus lymph nodes, which are in the chest area of a dog. Mediastinal lymphoma is quite rare in dogs. Multicentric lymphoma is the most common type of lymphoma in dogs that accounts for approximately 80-85 percent of all cases of canine lymphoma. It affects dog’s lymph nodes and it is a swelling of the nymph nodes that is usually the first indication that a dog may have multicentric lymphoma. The root causes of lymphoma in dogs are unknown. There has been research into the potential triggers that might cause canine lymphoma, such as exposure to chemicals, viruses, bacteria and exposure to magnetic fields, but the cause of the disease remains a mystery. It is known that in humans a suppressed immune system can be a factor in the development of lymphoma, but no similar link has yet been found in dogs. The first sign that you will see in a dog with multicentric lymphoma, which is by far the most common form of canine lymphoma, is swelling of the lymph nodes, which are located under the jaw and behind the knees. The swollen lymph nodes will feel like hard and rubbery lumps under the skin. A dog with lymphoma might also lose their appetite, they might appear to be lethargic, and they might lose weight. Other symptoms can include increased thirst and urination and a noticeable swelling of the neck, face or legs. Dogs that have alimentary lymphoma are likely to develop vomiting, diarrhea and sudden weight loss. You may also notice that the diarrhea is very watery and dark in color. The first signs that a dog may have cutaneous lymphoma is usually the appearance of dry, red patches of skin. As the disease develops, these patches of skin will become ulcerated, moist and they may bleed. Cutaneous lymphoma can also develop in the mouth, the symptoms of which will be red gums and ulceration of the roof of the mouth. Dogs with mediastinal lymphoma may have signs of swelling in the face or on the legs, and they will typically show signs of having difficulty breathing. The breathing difficulties are caused by a build-up of fluid in the chest. 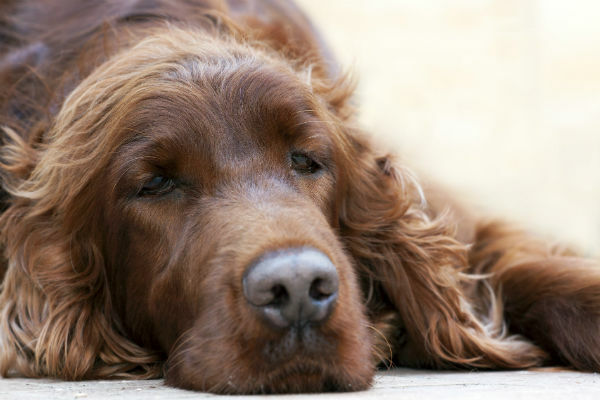 What Are the Available Treatments of Lymphoma in Dogs? 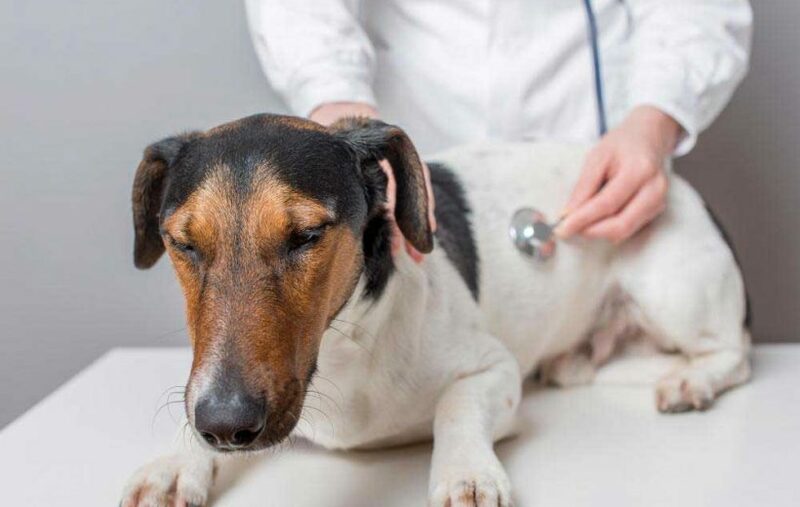 The type of treatment that will be recommended for a dog with lymphoma will depend on the type of lymphoma it is and the stage the disease has reached when it is diagnosed. Sadly, in the absence of any treatment at all, a dog’s life expectancy could be limited to just 4-6 weeks. In some cases, surgery and radiotherapy will be the recommended treatment for lymphoma in dogs, but the most common form a treatment is chemotherapy. There are many different types of chemotherapy that might be used to treat lymphoma in dogs. The most usual for multicentric lymphoma is a type of chemotherapy known as UW-25, which is a 25-week course of treatment. Other types of chemotherapy treatments may be used to treat the other types of lymphoma. Medication may also be prescribed to ease the symptoms of lymphoma. There is also growing evidence to support that CBD may have beneficial effects for a dog with lymphoma, both in terms of alleviating symptoms like nausea and lack of appetite, and in terms of even slowing the development of the disease. As mentioned above, without any treatment at all, the life expectancy of dog diagnosed with lymphoma may be limited to just 4-6 weeks. Although chemotherapy cannot totally cure lymphoma in dogs, if it is administered early enough, it can extend the life expectancy of the dog and improve its quality of life. If lymphoma is diagnosed early, before the dog begins to show any severe symptoms of the disease, in 80-90 % of cases, chemotherapy will extend the dog’s life by 12-14 months. If the disease has progressed to a severe stage by the time that chemotherapy is administered, life expectancy will be much less. The success of any treatment will also be dependent on the dog’s age and the general health of the dog. Finding out that your dog has lymphoma can be devastating and it can be tempting to keep your dog indoors and close by you all the time, so that you can care for your pet and enjoy every minute of the time you have left together. 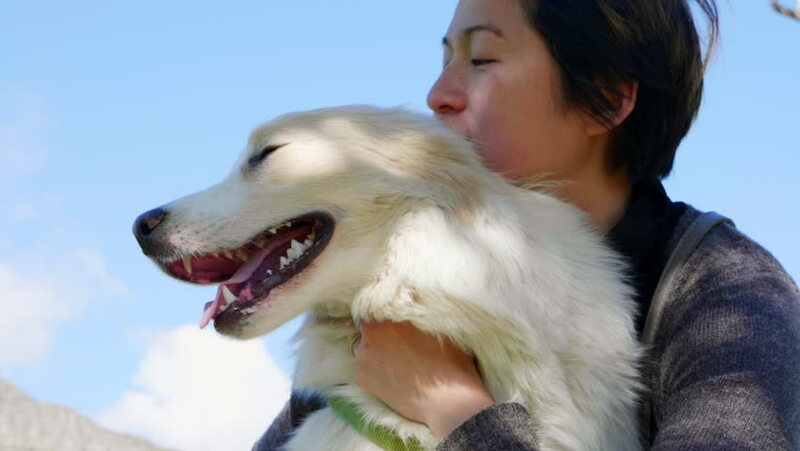 However, it is important to remember that the best thing that you can do for a dog at this difficult time is to give your pet the best possible quality of life. Your vet will advise you on what you can and can’t do with your dog, but the best general guidance is to give your dog as much of a normal life as possible. Exercising your pet, for example, will help to keep your dog healthy and give it the strength to fight the symptoms of the disease and help it cope with the side effects of chemotherapy. Your dog’s appetite may come and go, but you should leave food out for your pet just as you usually would and, if the dog does appear to be hungry, give it more food if it appears that it will eat it. You may find that your pet has less energy and has some difficulty with mobility. If that is the case, then you may need to help your dog with things like getting in and out of the car or walking up stairs. You can also help your pet by making things more accessible. If your dog usually sleeps upstairs, for example, you could bring the dog’s bed downstairs to save your dog having to negotiate the stairs. Does Lymphoma Cause Pain for My Dog? 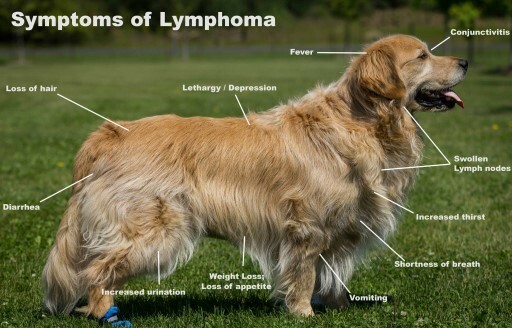 Many dog’s will feel no pain at all with lymphoma, and some will only display mild symptoms of the disease, such as vomiting, weight loss and diarrhea. If lymphoma in dogs is treated with chemotherapy, your pet is also likely to experience side effects of the chemotherapy. If you your dog is displaying signs of pain or discomfort, it is important that you speak to your vet about this so that medication can be prescribed to maintain the dog’s quality of life. You might also like to try alternative, herbal remedies, such as CBD oil, to alleviate the pain and symptoms of the disease, and to minimize the side effects of chemotherapy. There is growing evidence that CBD can help ease the symptoms of lymphoma, reduce the side effects of chemotherapy and, in some cases, slow the spread of cancerous cells. Although CBD should not be thought of as a replacement for radiotherapy or chemotherapy, many pet owners have found that administering CBD to their dogs has considerably improved the quality of life of their pet and it may have played a part in their dog’s lymphoma remission. Lymphoma in dogs can cause nausea and loss of appetite, as can chemotherapy, which can lead to weight loss and a further decline in the dog’s general health. CBD can be used to treat the nausea, and so make the dog feel more comfortable and feel more inclined to eat. In turn, that can help build the dog’s strength, so it will better able to cope with the other symptoms and fight the disease. CBD has well-documented pain killing properties, so if your dog is experiencing pain because of lymphoma, a regular dose of CBD will help control that pain and make your dog more comfortable. CBD also has mood boosting properties, so it will help give your dog more energy as well. Studies have shown that certain compounds contained in CBD do appear to have a beneficial effect on cancer cells, and the anecdotal evidence from pet owners certainly backs this up. In studies on animals, it has been found that CBD can help slow the spread of cancer and it may increase the effectiveness of chemotherapy. While products like CBD Dog treats are extracted from the cannabis plant, it is not the CBD in the plant that makes people high. CDB for dogs is a non-toxic and safe compound that has been found to have wide ranging medical benefits. The psychoactive compound in cannabis, THC, is a totally different compound. 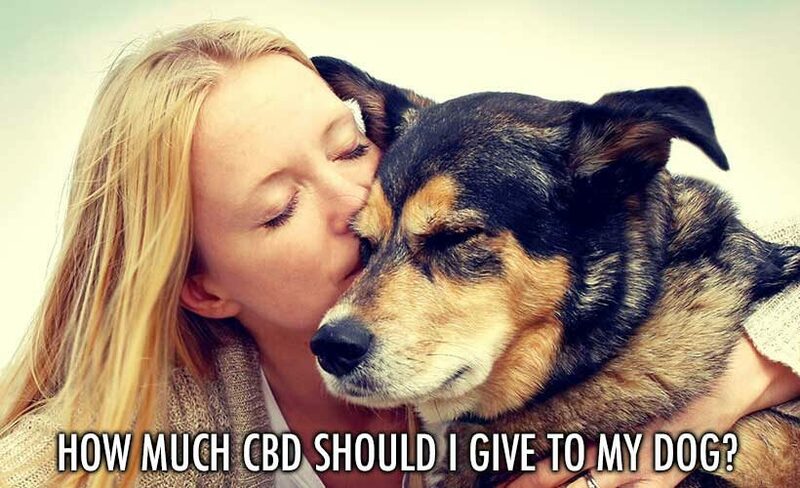 While CBD should not be used in place of the treatments recommended by your vet, many pet owners have found that CDB helped their dog with the symptoms lymphoma and may have helped to extend the length of time their dog’s lymphoma was in remission.